Over the last four years, students have shown improvement in grade 8 math and science, nationally. 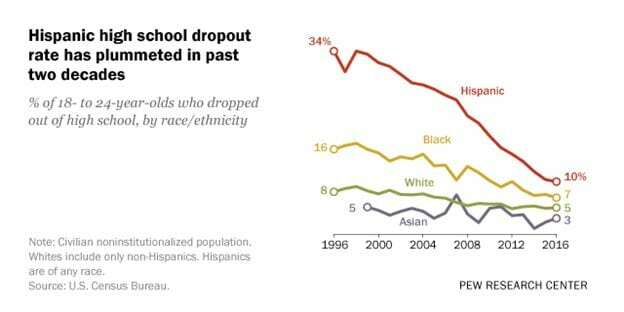 During the same time, students in fourth-grade have remained stagnant or slightly dropped, compared to four years ago. This is according to scores released last week on the Trends in International Mathematics and Science Study (TIMSS), an assessment given to students in more than 60 nations and education systems. During the same period, the relative rank of Michigan students, compared to peers nationally, has dropped for fourth and eighth grade students in math, according to data from the National Assessment for Educational Progress (NAEP). These declines have been especially pronounced for Michigan’s Latino students. More information about TIMSS and how the United States compares to other nations is available here. Data on how Michigan compares with other states is available here and profiled in our recent report, Michigan’s Talent Crisis. 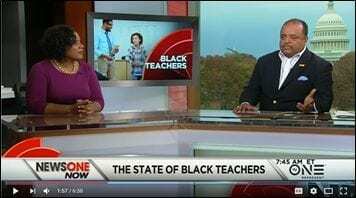 The Education Trust’s Dr. Ashley Griffin speaks with NewsOne Now’s Roland Martin on what we learned when asking Black teachers about their experiences in classrooms and schools. Achieve recently announced the launch of the Student Assessment Inventory for School Districts National Network. The goal of the National Network will be to support up to 12 school districts across the country to use the Student Assessment Inventory for School Districts to take stock of their assessment system, streamline the number of assessments, and ensure all remaining assessments are of high quality and aligned to state learning standards. Through this new National Network, Achieve will provide districts subgrants between $5,000 and $7,000 to districts to complete the assessment inventory. In addition, district and school board leaders from those districts will attend a cross-district convening to learn from other districts that have used the assessment inventory and to finalize inventory planning, as well as receive ongoing support from Achieve staff. Districts interested in applying to join the National Network should read the Call to Action for details about the application process. Applications are due December 16, 2016. House School Aid Appropriations Subcommittee met this morning, December 6, for a presentation by Stephen Rhodes, Detroit Community Schools Transition Manager. Senate Education Committee. Today, December 6 at noon. Room 110 in the Farnum Building, Lansing. Agenda: Senate Bill 528 (Booher – R) and SB 553 (Jones – R) regarding intermediate school districts; SB 567 (Knollenberg – R) eliminating the post-Labor Day start requirement for school calendars; and House Bill 5796 (Potvin – R) regarding preferences in special education hiring. State Board of Education meets next Tuesday, December 13 at 9:30 a.m. This will be the final state board meeting of 2016 and the last meeting for State Board President John Austin and member Kathleen Straus. The agenda is available here.